landmarks Situated along Acacia Avenue near its intersection with Commerce Ave. standing adjacent to Uni Oil Center (the one at the actual corner). It is approximately 370 meters (1213 feet) away from Alabang-Zapote Road. 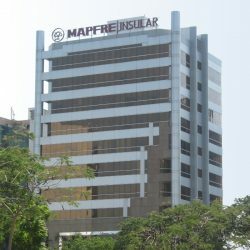 How to commute to Mapfre Insular Corporate Center?